Lentil-Turkey Meatballs are delicious, healthy, and filling. They are perfect to eat on their own or to add to pasta, sandwiches, or soups. Full of fiber, protein, and vegetables, they will keep you satisfied for hours. Bake them in the oven and use throughout the week. Great for meal prep or batch cooking and freezing. Once again, I have partnered with Lentils.org and they sponsored this wonderful and delicious recipe for the #GetPrepped campaign. Although I have been compensated, all the delicious opinions are my own. Oh, lentils, how do I love thee? Lentils are a staple in my kitchen. My husband considers having less than three pounds of various lentils in our pantry to be a lentils shortage. I recently purchased a 10-pound bag of lentils and it’s disappearing dangerously fast. Of course, I love adding lentils to stews to add some bulk to the meal. But I also use lentils to make Vegan Lentil Pot Pie and easy and healthy Lentils and Brussels Sprouts Skillet. Lentils are a wonderful source of fibre and protein and they go well with a variety of dishes other than traditional soups. Recently I’ve been adding lentils to the meatballs. My Lentil-Turkey Meatballs are really delicious and healthy. Adding lentils means that the meatballs are also much more affordable as this humble addition stretches expensive meat further. Lentils make the meatballs very filling as they add extra fibre, proteins, and minerals. Can you freeze Lentil-Turkey Meatballs? Yes, you totally can!!! 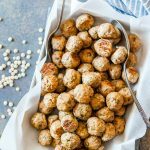 I love baking a big batch of these Lentil-Turkey Meatballs then freezing some and using the rest throughout the week in various recipes. 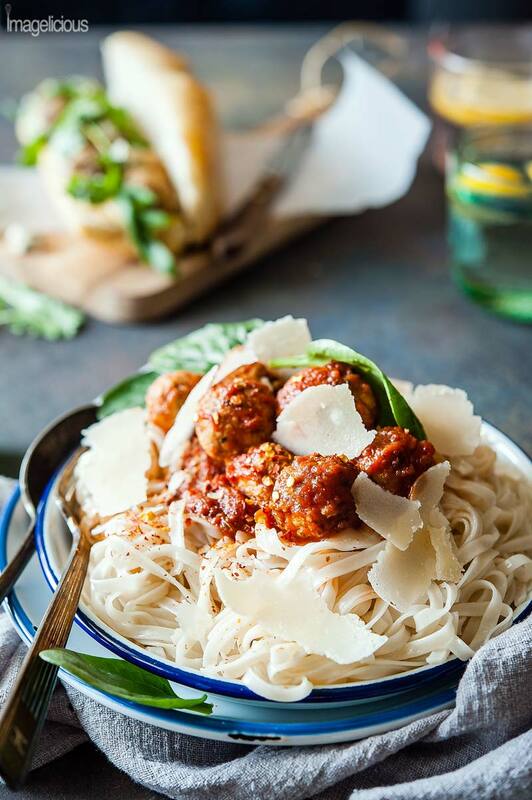 You get to spend a little bit of time on the weekend making the meatballs and then enjoy delicious flavours all week long. 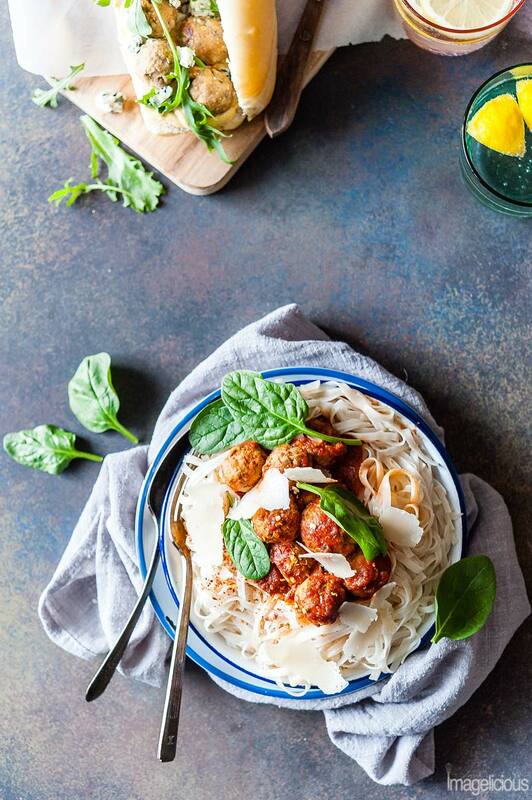 These Lentil-Turkey meatballs freeze beautifully and are great for batch cooking or meal prep. To freeze these meatballs, just spread them on a baking sheet without touching in one layer and stick in the freezer for 1-2 hours. Once each meatball is individually frozen, transfer them to a ziplock bag or an airtight freezer container. They’ll easily keep for 1-2 months in the freezer. 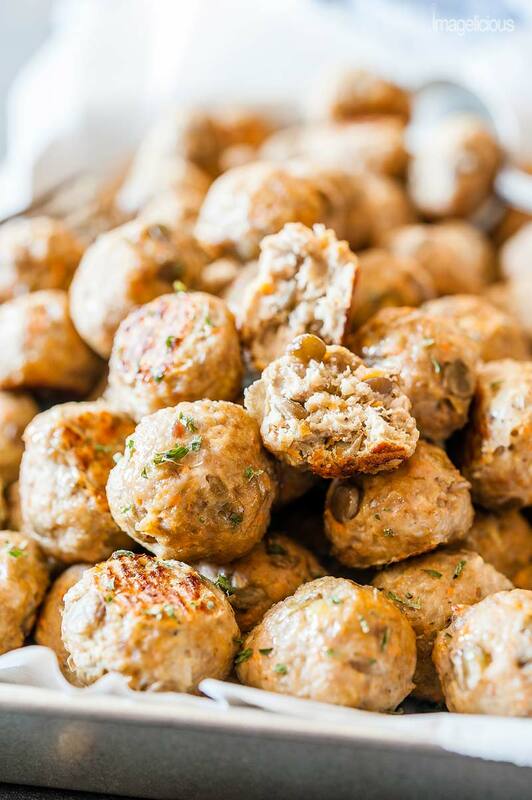 Can you make Lentil-Turkey Meatballs gluten-free? It took me quite a few tries to develop this recipe as I kept tweaking ingredients and amounts here and there. I tried making the meatballs gluten-free without any addition of breadcrumbs, and although the recipe worked, the texture was a bit too crumbly for my liking. Actually, it was ok but my daughter didn’t appreciate it. She prefers the meatballs that could be easily cut into pieces and fit into her small hands. I think the recipe could be made with gluten-free breadcrumbs but I haven’t tried. This particular recipe for Lentil-Turkey Meatballs is made with green lentils but I tried red lentils as well. I thought that red lentils would work great since they are cooked to a mush and would incorporate into the meat without any issues. However, the flavour was a bit too dry. Baby did not appreciate those meatballs at all. My other few tries included different amounts of lentils and textures of vegetables. I tried adding finely chopped onion but the quick cooking time for the Lentil-Turkey Meatballs (just 20 minutes in the oven) meant that the onion didn’t get cooked through and was still a bit crunchy. In the end, I liked the vegetables chopped in the food processor until almost paste-like consistency. As for the lentils, one pound of cooked lentils worked perfectly with one pound of ground turkey, making the meatballs taste meaty but still textured and also juicy. Lentils are very easy to make, there’s no need to spend time soaking them. For this recipe I combine 3/4 cup of green lentils with 2 cups of water in a pot, cover with a lid, bring to boil, and then simmer for about 15-20 minutes or until all the water is absorbed and the lentils are fully cooked and soft. You may have one or two teaspoons of liquid left and if that is the case then just strain the lentils. Making the Lentil-Turkey Meatballs requires a little bit of planning as the lentils need to be cooked and cooled first. But once that is complete the meatballs come together very fast. You could even make the lentils a dew days in advance as they keep in the fridge for up to a week. Alternatively, you could even cook a big batch of lentils and freeze them for up to 3 months. However, they are so easy and quick to cook that I’ve never tried it. The actual meatballs are baked in the oven, making them perfect for batch cooking. I love making mine really small and then freezing half of them on a tray at first before transferring to a container. Once the meatballs are cooked, you have tons of ways of using them. Eat them straight out of the oven with some mashed potatoes, gravy, and vegetables. Add them as a topping to your favourite dinner salad with some sliced eggs, green beans, and a few shavings of parmesan cheese. Make a simple tomato sauce (I actually use store-bought jarred tomato sauce), add Lentil-Turkey Meatballs and serve over pasta. 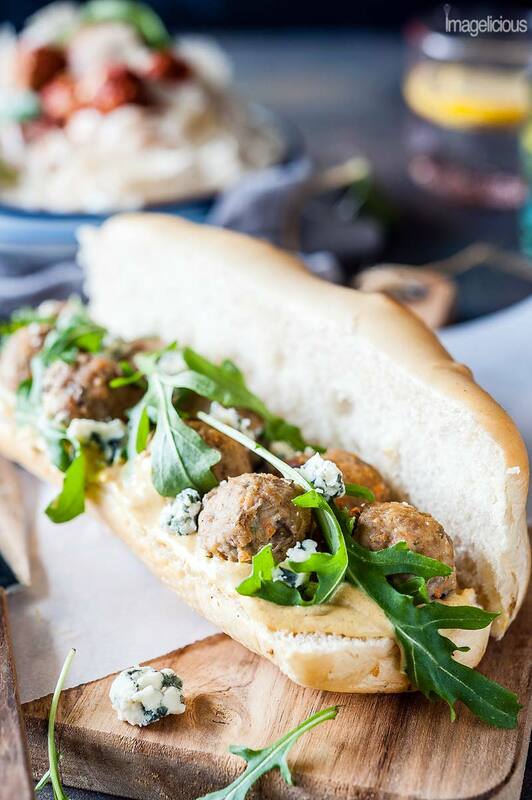 Spread your favourite dinner roll with mustard, add some arugula, blue cheese, and meatballs. My husband likes meatball subs made with these little meatballs and tomato sauce. 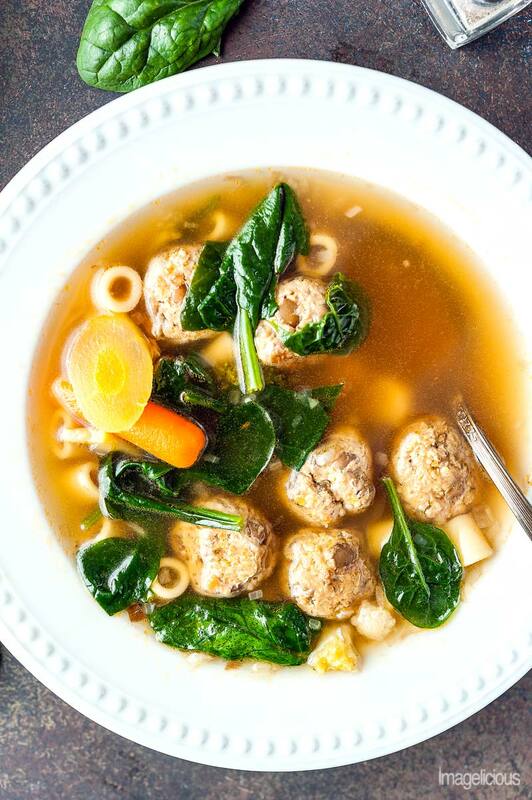 And I love using the frozen meatballs to make meatball and pasta soup, it’s very convenient, easy, and fast. 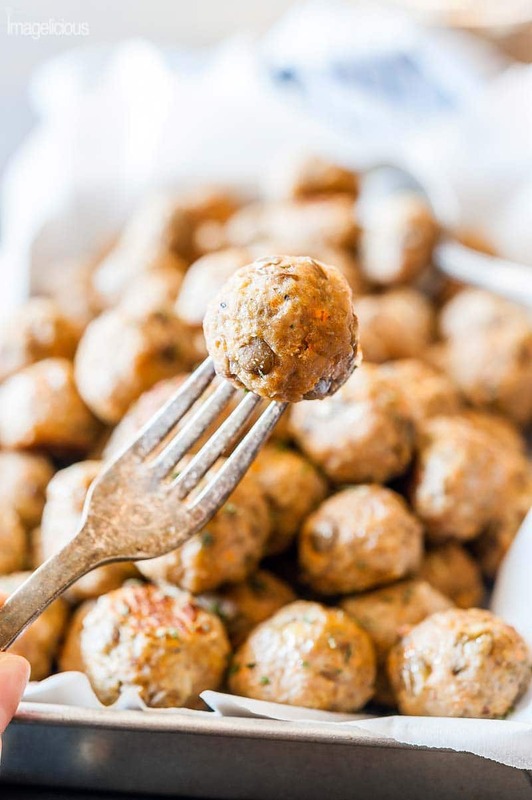 Whatever you decide to do with the Lentil-Turkey Meatballs will be easy, delicious, and healthy! Spend a little bit of time on a Sunday making them and you’ll enjoy healthy and wholesome meals all week long! If you like meatballs, try my Dill Meatballs as well. They are also baked in the oven and full of delicious dilly flavour. In a small pot, combine the lentils and water. Bring to boil, cover with a lid, reduce the heat and let simmer for about 15-20 minutes or until all the water evaporated and the lentils are soft and cooked through. Roughly chop the onion and the carrot and add to a small food processor. Process until the vegetables become almost a paste and are very smooth. Transfer the vegetable mixture to a big bowl, add the egg, all the spices, breadcrumbs, and mix to combine. Add the ground turkey and the cooled lentils to the bowl and mix thoroughly until everything is well incorporated. 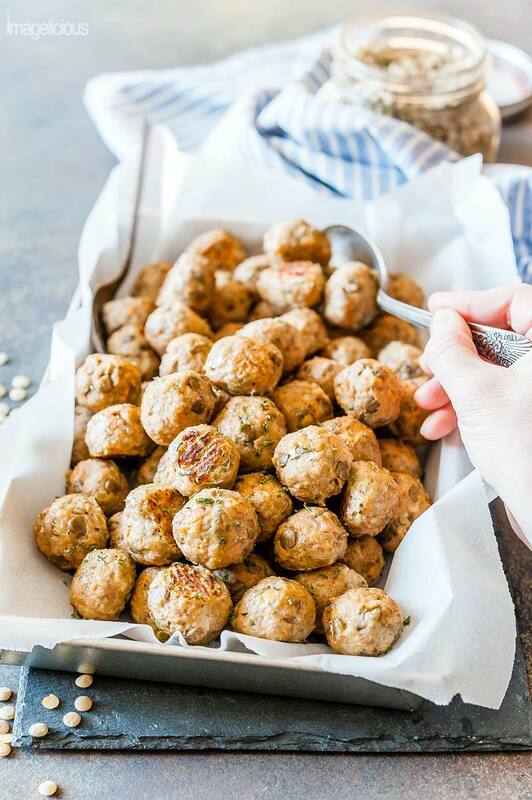 Using a small ice cream scoop, take a small amount of the lentil-turkey mixture and roll between your hands to make small round meatballs. 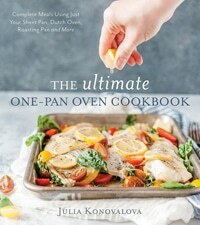 Place onto a baking sheet without touching. If you'd like to freeze the meatballs, then cool them to room temperature, place without touching on a baking sheet covered with parchment paper, transfer to the freezer for at least an hour. After an hour, once each meatball is frozen individually, transfer to a freezer safe container and keep in the freezer for up to 3 months. I am so trying these! I have never thought to put lentils in my meatballs but I absolutely love the idea! My husband is a huge meatball fan, I bet he would go crazy for a meatball soup too! I hope you like this recipe. And the post for the meatball soup is already on the site. 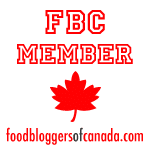 Lentils are such an amazing ingredient -frugal, adaptable, nutritious and easy to use. Fantastic idea to add them to meat balls to make that meat go further. So many people are meat reducers these days and this makes it even easier. These meatballs sound wonderful and I would love to use them on a sub! My husband is obsessed with meatballs subs and I have a great arugula pesto that I think would be delicious with these! I’ll take a plate of 30 meatballs, please! LOL But seriously, I can’t wait to try these. These meatballs are such a great way to incorporate more lentils into my life. Oh, this is perfect! I just re-organized my pantry and came across a bunch of different types of lentils that i hadn’t used. I have been searching lentil recipe today and then came across this. Exited to try this, thank you! I’m really glad you found this recipe! I hope you do try these meatballs! 3 lbs! Ha! He’d think my house was in a lentil DROUGHT! I don’t cook with them nearly enough – but you’re inspriring me with thes amazing looking meatballs! I can’t wait to try these. We constantly have lentils in the pantry and I’m always looking for new ways to use them. I would love to put these in my Italian Wedding Soup instead of the chicken meatballs I often use! I love that you can freeze these well, too. They sound like a great way to prep ahead for easy meal-making. I’m sure they will be absolutely delicious in the Italian Wedding Soup! The soup recipe is coming this week 🙂 Stay tuned! Meatballs are a staple in our house and I like the idea of adding lentils to stretch them further. I don’t have much experience with lentils and your recipe makes them look so easy to work with. I have a couple packages of turkey in the freezer that I can’t wait to experiment with now. I am so trying this! We love adding more variety to our diet and I have tons of lentils in our house. My family will love this recipe! I am always looking for new ways to enjoy lentils. Loving this idea for meatballs! Your suggestions sound so delicious, I will have to make a batch this weekend. I am 100% in the lentil-lovers camp! 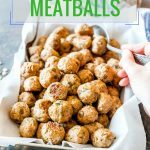 I always have a few bags in the pantry because they’re so simple to whip up, though I usually make them as a side dish or in a salad — so you’ve intrigued me with your meatball recipe. What a great way to stretch a dinner. My daughter is grown and away in college, but I still make big meals and freeze them in batches so I don’t always have to be cooking every night. I can see parsing these meatballs out into several meals. Thank you! I always have a bag of frozen meatballs in case if I don’t have time to grocery shop. So easy to just whip up something delicious. I’m so glad to hear that many people love lentils. They are amazing! Well we are lentil lovers too. Such are great ingredient to work with. The perfect meat alternative, and so healthy too. These meatballs sound like the perfect “sub” stuffing, but I would also have them over noodles, rice or potatoes too. Lots of wonderful ways to enjoy them. Ground turkey is great too….and often overlooked. I still cannot get over these! My daughter loves them (she loves lentils, though.) However, my neighbours are so picky! Won’t even try anything with lentils. So the next time I made turkey-lentil meatballs I just didn’t tell them about the lentils until after their claims of “omg, so delicious!” Drives me batty, lol. Going to steal the idea of adding meatballs to soup 🙂 PS: I am still jealous of your photography skills! Oh, you are so sweet! Thank you so much for the kind words about my photos 🙂 I love your photography so much that your compliments mean a lot to me! !